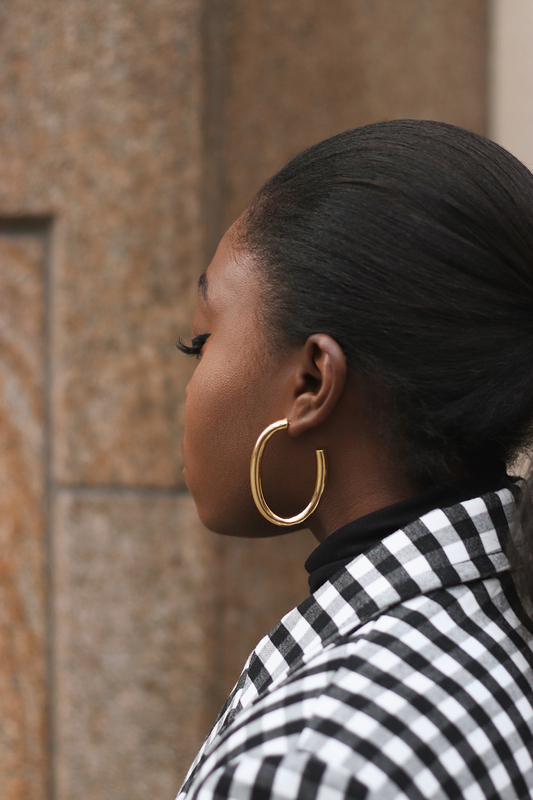 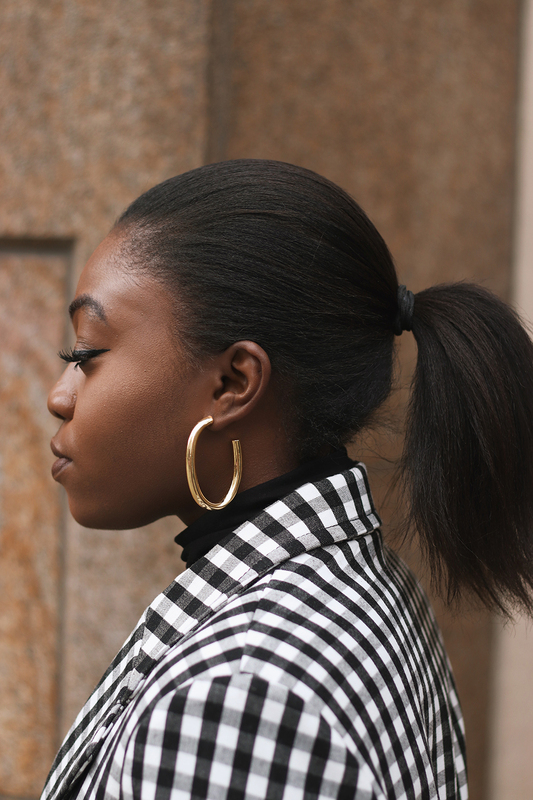 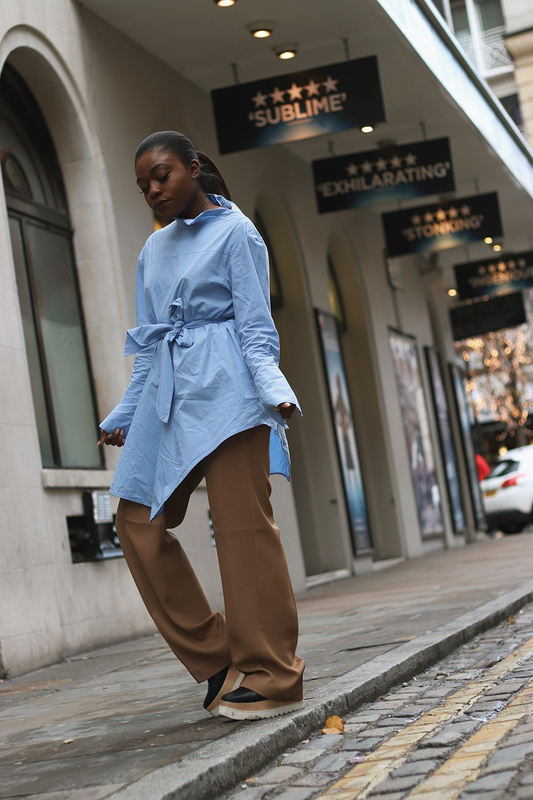 Here, I am wearing Arket camel trousers, ASOS Turtleneck and Mango gingham blazer. 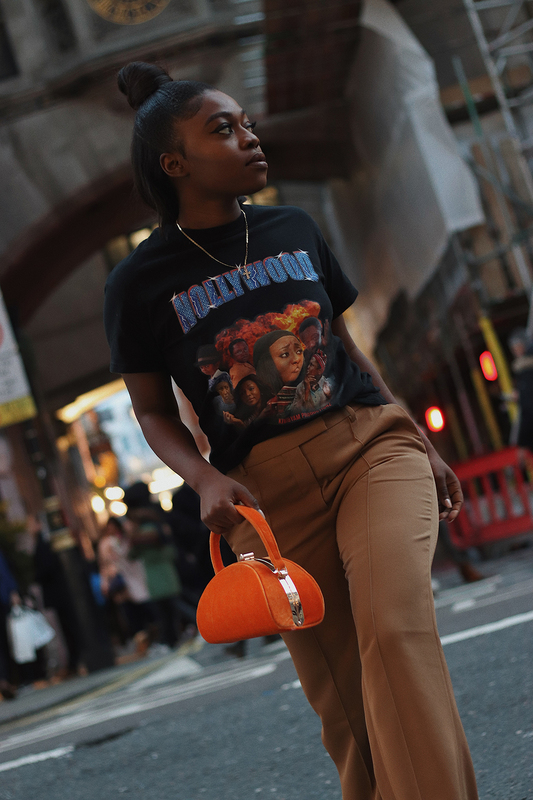 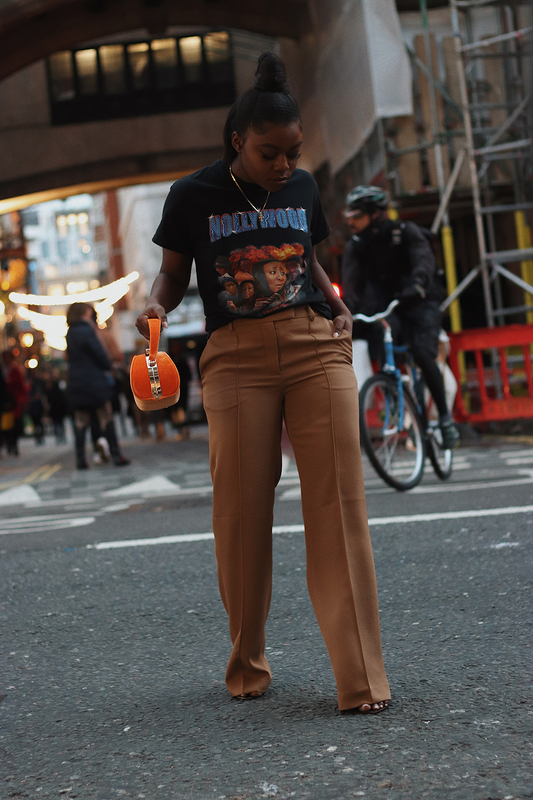 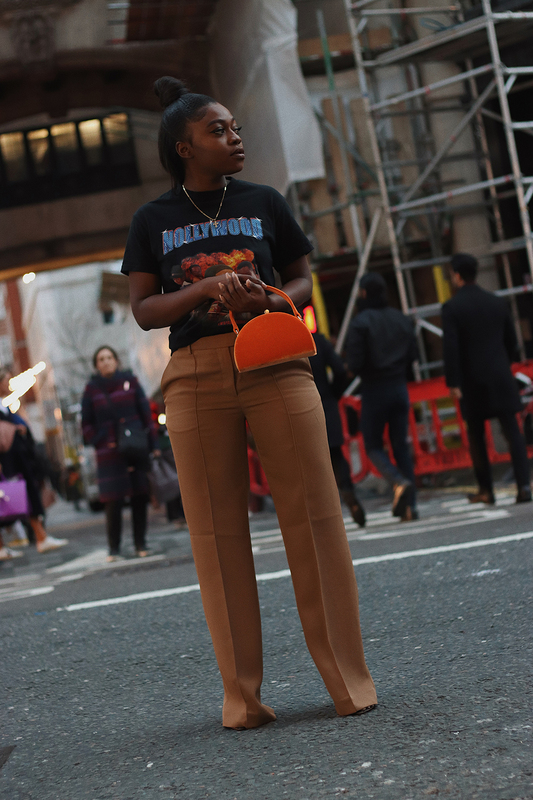 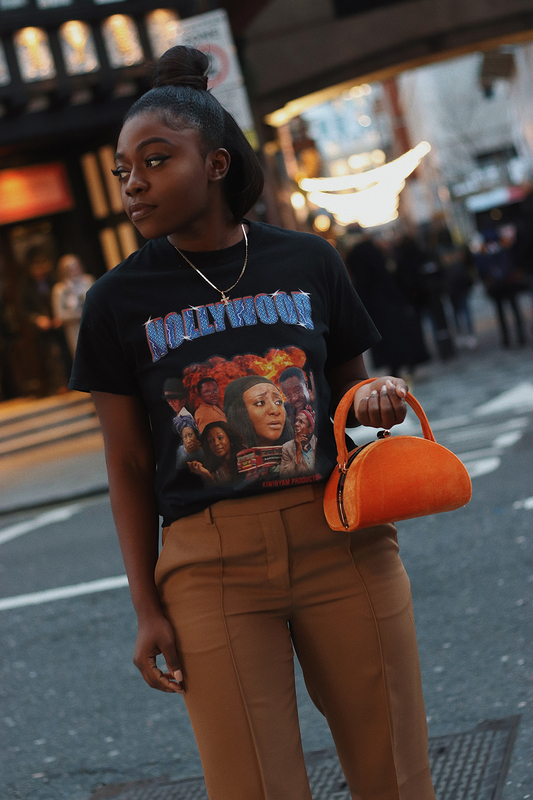 Here, I am wearing Arket camel trousers, Kiwi & Yam tee, and Topshop Velvet bag. 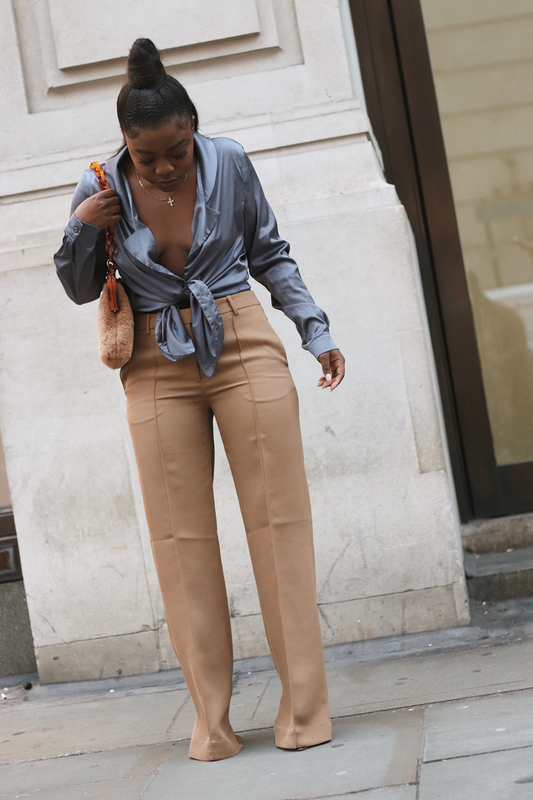 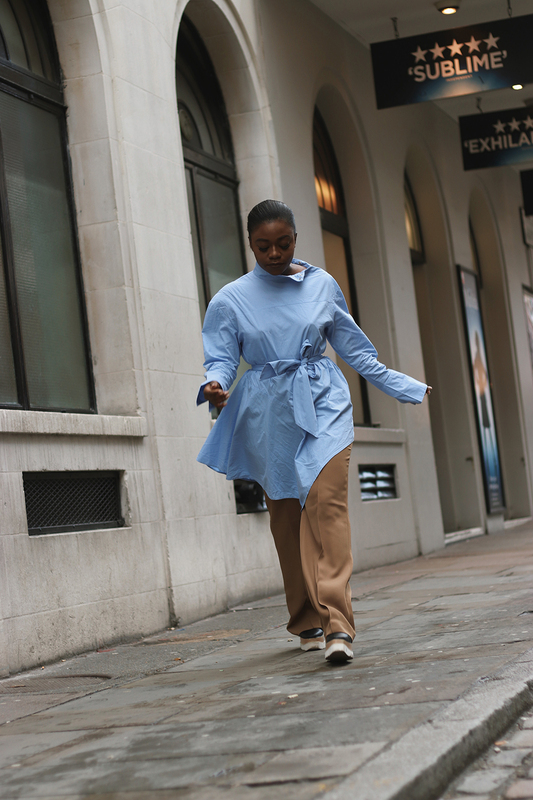 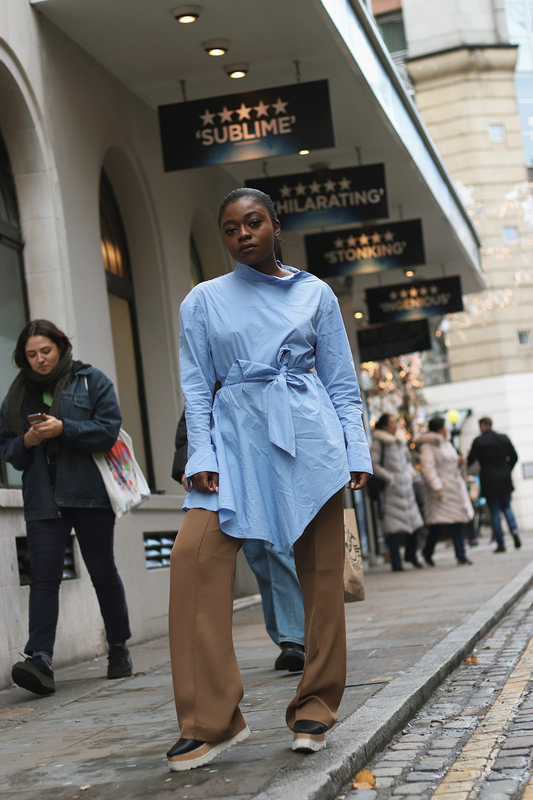 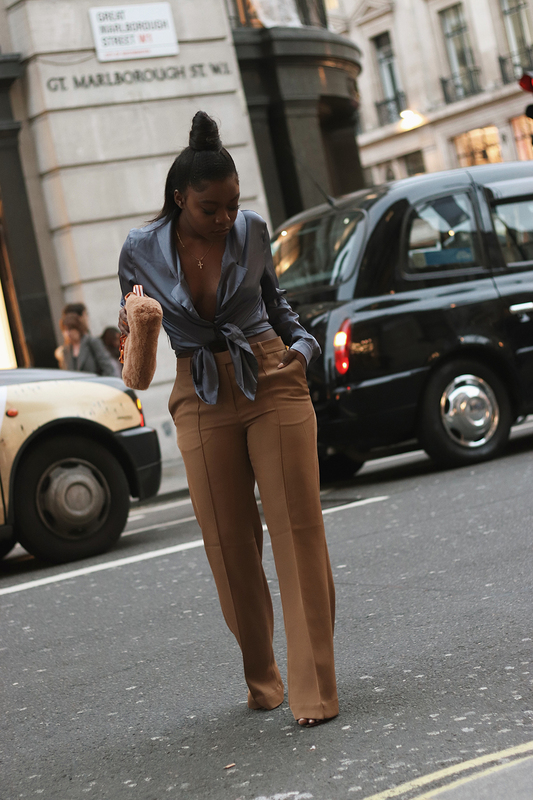 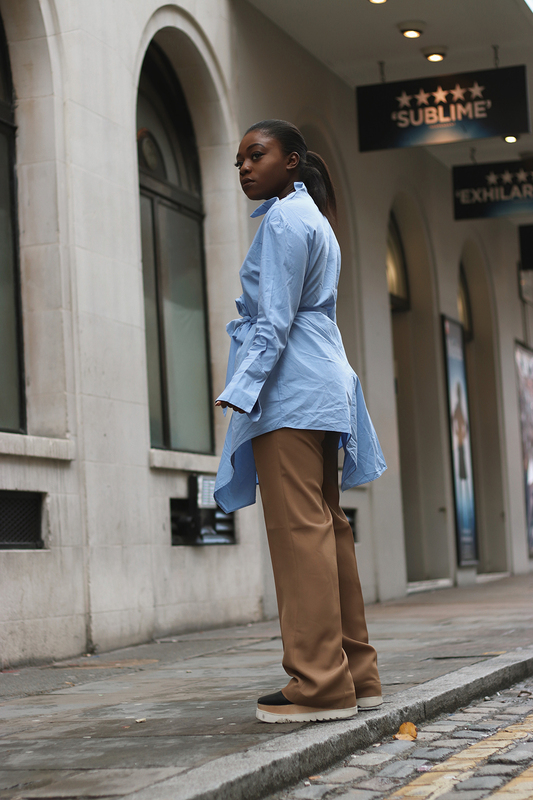 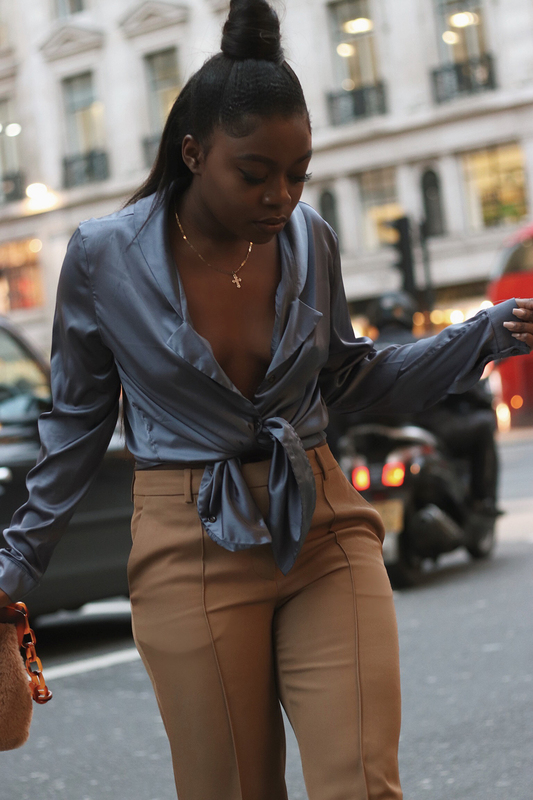 Here, I am wearing Arket camel trousers, H&M Shirt Dress and Stella Mccartney Shoes. 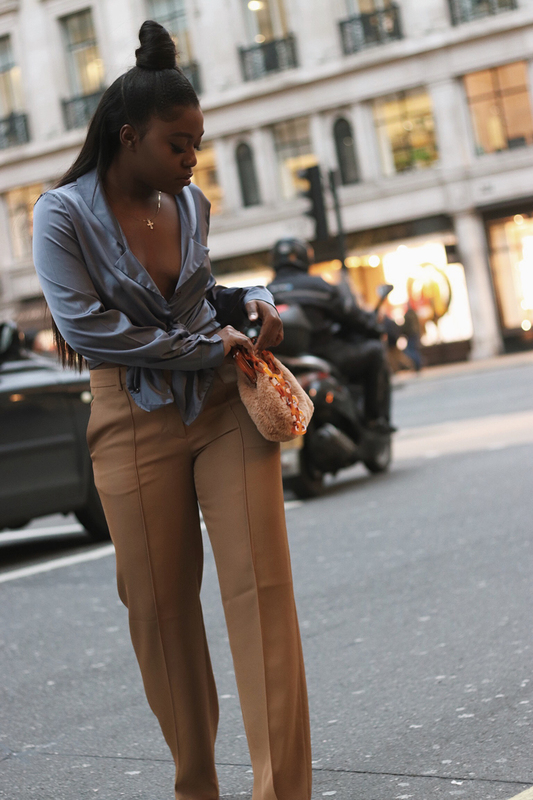 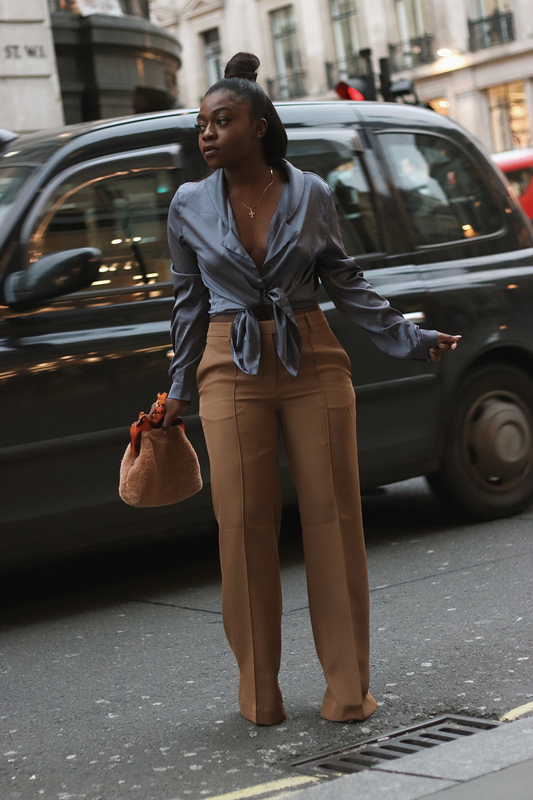 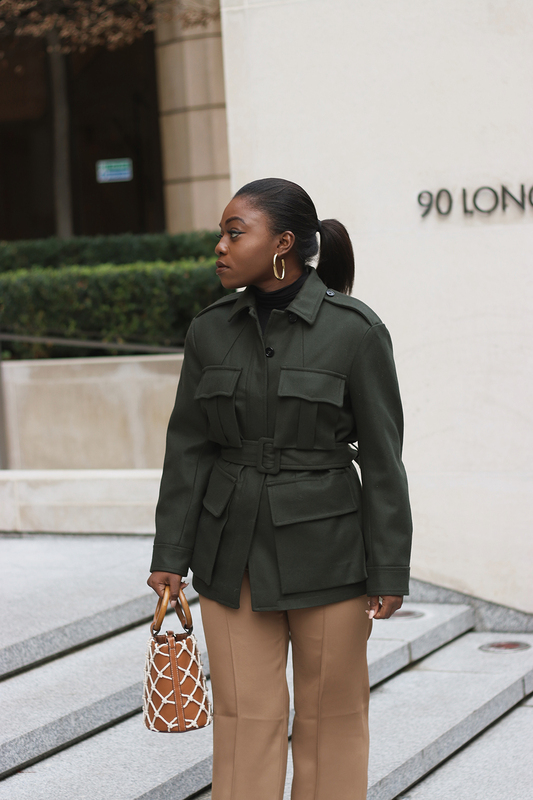 Here, I am wearing Arket camel trousers, Never Fully Dressed Shirt and Topshop Bag. 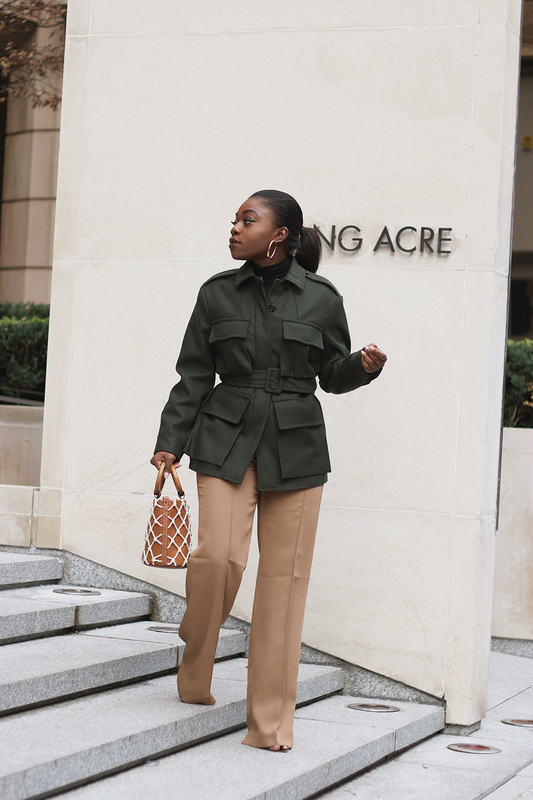 Here, I am wearing Arket camel trousers, Arket Jacket, and Mango Bag.